LINCOLN CITY, Ore. – Glass artist Kelly Howard has re-birthed Volta Gallery which started out as a place for Howard to sell the glass art pieces she makes apart from her glass blowing at the Jennifer Sears Glass Art Studio. Located across from the Jennifer Sears Glass Art Studio on Highway 101, the remodeled gallery features photographs by Kirk Jonasson, paintings by Katia Kyte and Tracy MacEwan, and glass by Ann Cavanaugh, Kelly Howard and Jon Myers. Kelly, who was born and raised an hour west of Chicago, holds a BA in psycology and an MFA from University of Wisconsin at Madison. While at the university, she spent a semester traveling in Italy and Venice. Post graduation she was awarded and accepted a School of Art Institute of Chicago Scholarship to study painting, drawing, fiber arts and bronze casting. Her future as a glass artist however, came one summer in a glass blowing class. 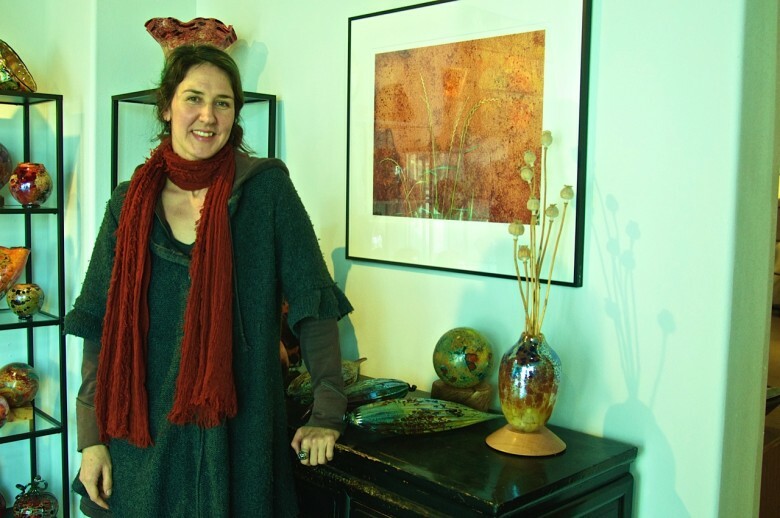 Kelly, who with her partners contract with the City of Lincoln City to teach glass blowing to locals and visitors, makes about 16 to 20 pieces a day to sell in her gallery located across the street from the glass studio. In the winter she works on her days off creating her signature glass art. During the hectic summer months, she does her work in the early morning before the studio opens to the public. For more information about Kelly Howard glass art and Volta Gallery, visit 4830 SE Highway 101, Lincoln City, go online to http://www.kellyhowardglass.com or call 541-996-7600. 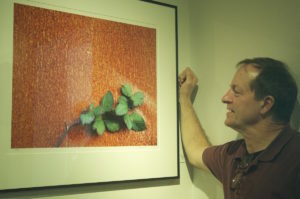 Photo caption: Kelly Howard in Volta Gallery located across the street from the Jennifer L Sears Glass Blowing Studio. Photo by Jan Jackson.